Wivey Action on Climate has launched a pledge for climate action (click this link to sign). The more who pledge, the more it shows that local people want action. The number pledging will be recorded on our website and reported to local papers and to our local councillors and MP. Carbon is released into atmosphere by burning fossil fuels and by other human activities, including farming and waste disposal. We need to use energy more efficiently and to generate more from renewable sources, so carbon emissions can be reduced by 50% by 2025 (UK target) and fossil fuel use ended by 2100. If we do not restrict our carbon emissions, they will continue to accumulate in the atmosphere and oceans. Carbon in the atmosphere acts like a blanket trapping more heat on the Earth, so causing global warming and climate change. Collecting pledges at Carnival Market. Growing carbon pollution causes extreme weather, heat waves, flooding, melting glaciers, rising seas, acidified oceans, reduced crop yields and changes the range of wildlife habitats, putting some species at risk. These effects could become very severe unless we limit the growing build-up of carbon. To avoid the most threatening effects, a target has been set to limit average global warming to no more than 2 degrees Centigrade. But global warming has already reached close to half this target and not enough action is being taken yet to prevent it from being exceeded. 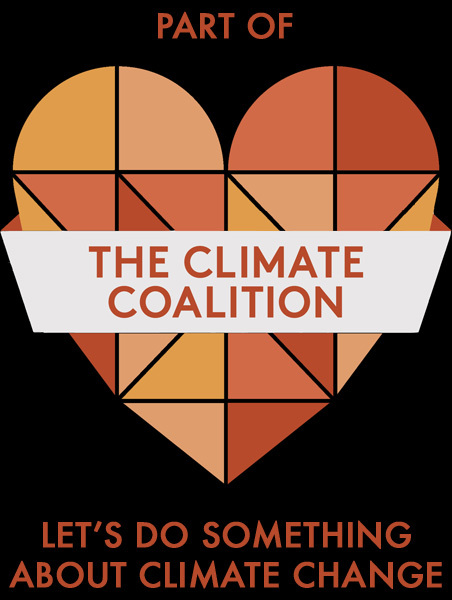 Our pledge adds your voice to the many calling for action and helps you make an effective contribution to stopping climate change. Please sign our climate action pledge by clicking here. Wivey Action on Climate received funding from the Energy Saving Trust in 2015 to promote energy saving at home, which can help reduce bills, keep us warm and cut carbon emissions. We produced guides (updated in early 2016) to energy saving at home, funding and support, and lists of local suppliers for heating and hot water, solar power, biomass and wood heating, insulation and specialist architects. In May and June 2015, we distributed the guides at local stalls and had a display in the Community Office. Stalls on energy saving at Farmers Market and in The Square. Centre for Sustainable Energy – Home energy advice including for tenants and those wishing to make older homes warmer. The hustings on climate change organised by Wivey Action on Climate with other Taunton Deane transition groups was a great success. A hall packed with 200 people at Wellington Prep School heard a lively and informative debate between the main Taunton Deane general election candidates. There was a near unanimous view that climate change is a serious issue with only the UKIP candidate suggesting that the threat is exaggerated. The candidates responded to seven questions (selected from 40 submitted) on issues ranging from the effects of building the proposed Hinkley C nuclear reactor to the benefits of reducing meat and dairy consumption. While there was general agreement on some issues, such as building a tidal lagoon in Bridgwater Bay, there were different opinions on whether growing the economy is compatible with tackling climate change. The debate was good-humoured and at times light-hearted. The candidates were finally asked: ‘What is your biggest climate sin?’ which drew some revealing replies. Presentation on climate past, present and future and launch of Wivey Action on Climate. This meeting was held on 22nd January 2015 at Wiveliscombe Primary School. 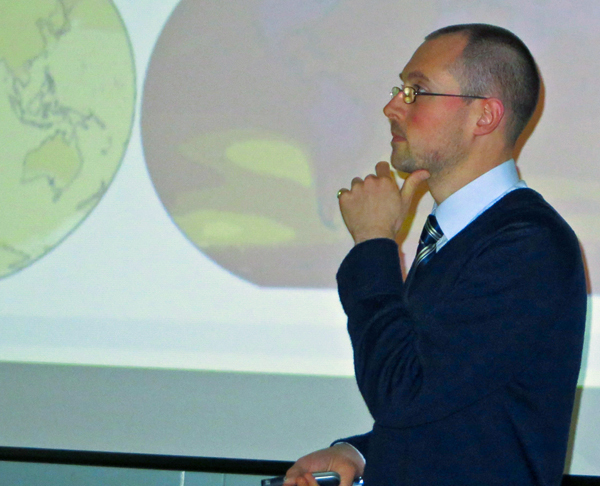 Our guest speaker, Dr Robert Dunn joined the Met Office Hadley Centre in 2010 and works in the Climate Monitoring and Attribution group. About 60 people attended to hear Robert’s informative presentation, which covered changes to our climate, natural and man-made causes, the increase in greenhouse gases in our atmosphere and how the Met Office and other scientists measure and model all these changes. Robert also covered impacts and what we can do to reduce emissions and adapt to some climate change. 2014 was the warmest year on record, with global temperatures 0.7C (1.2F) above the long-term average. 14 of the 15 warmest years on record have now occurred since 2000. The analysis was published today by US government scientists at NASA and NOAA. See the BBC report for further details. Also see NOAA’s selected climate events and anomalies for 2014. The United Nations has been building support since 1990 for a universal agreement on climate change. In 1988, the Intergovernmental Panel on Climate Change (IPCC) was established by the UN and the World Meteorological Organisation to provide the world with a clear scientific view on climate change and its potential environmental and socio-economic impacts. “Human influence on the climate system is clear and growing, with impacts observed on all continents. If left unchecked, climate change will increase the likelihood of severe, pervasive and irreversible impacts for people and ecosystems. “However, options are available to adapt to climate change and … ensure that the impacts of climate change remain within a manageable range, creating a brighter and more sustainable future. Our climate – what are the effects of climate change? Our future – what will we choose? 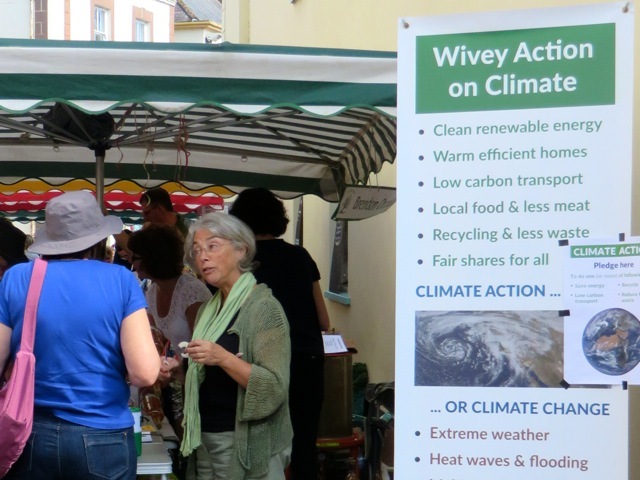 Wivey Action on Climate is a new group set-up in October 2014. We aim to raise awareness of climate change, to support national and international campaigns and to encourage local action through simple steps in our everyday lives. To join, complete our membership form.